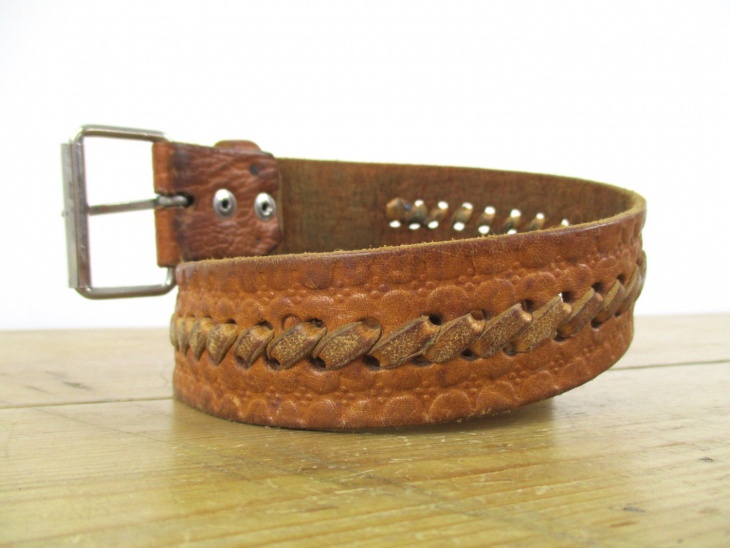 A good distressed belt can make your outfit stand out or make you look shaggy and unkempt. 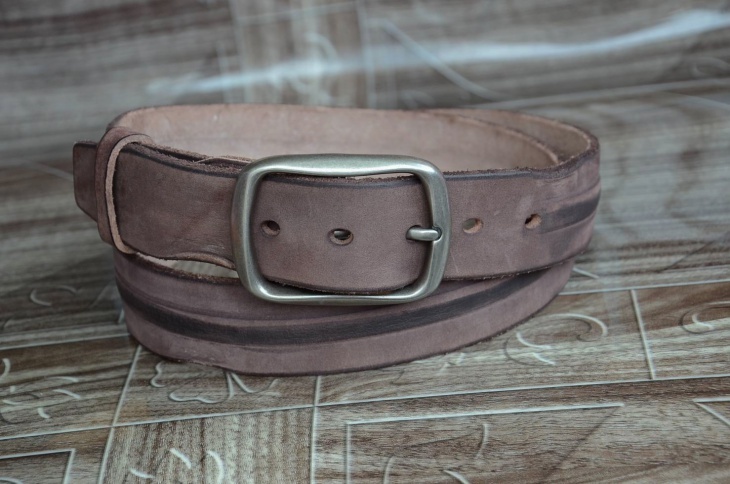 When you think of making a fashion statement, black or brown leather belts are the classic accessory for men; while women tend to choose colored distressed belts that show curves. 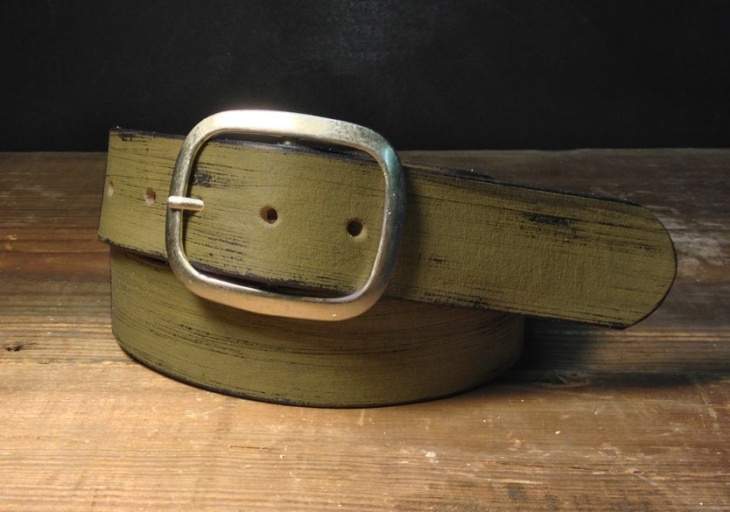 Despite the gender differences, a perfect distressed belt should be comfortable and accentuate your appearance. 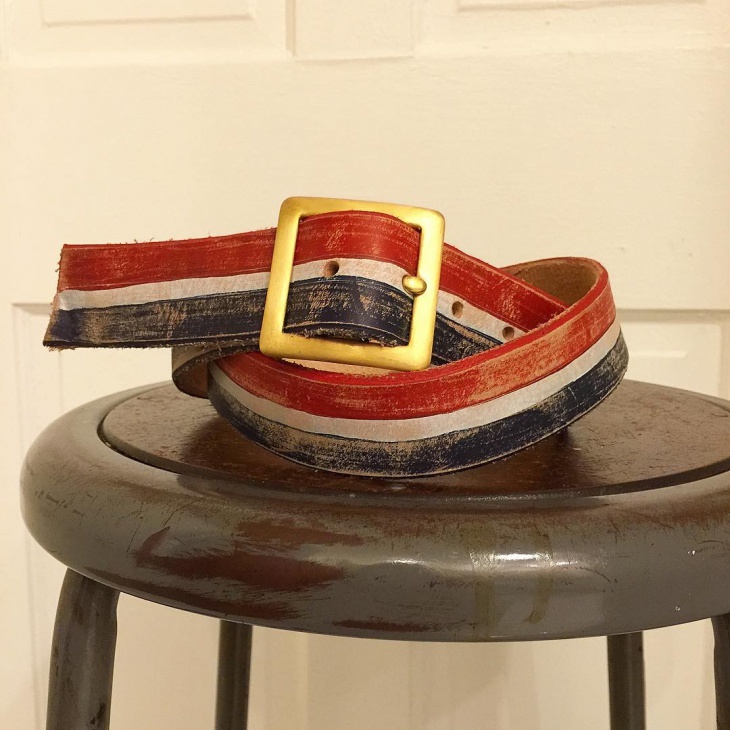 Whether neutral or vibrant, there’s a distressed belt that will complement your outfit. 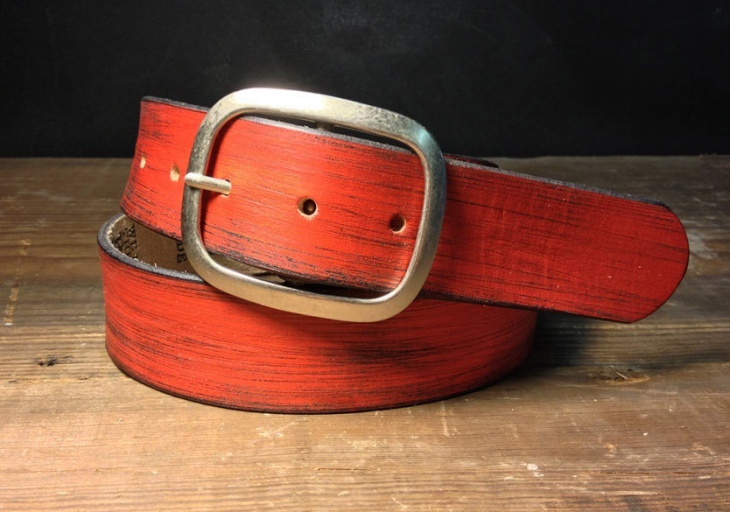 A good distressed belt should show your personal taste as well as draw attention towards your body. 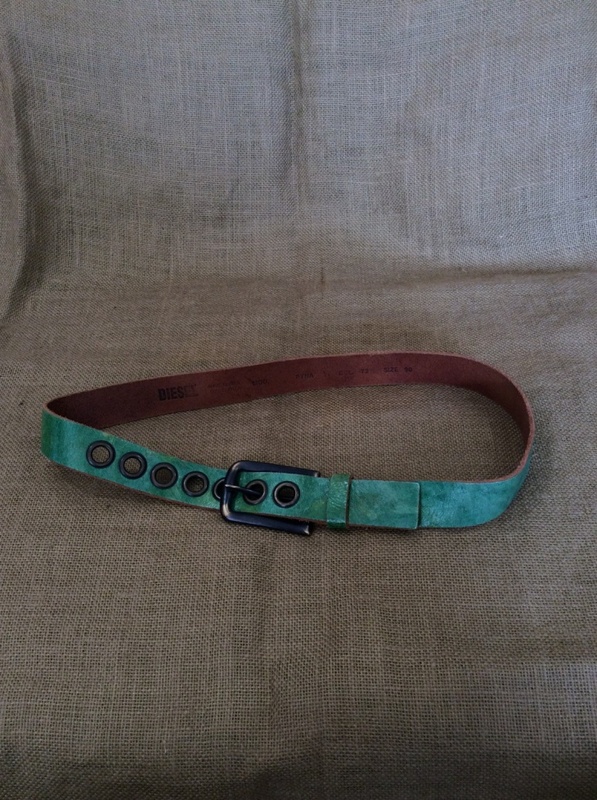 This Italian diesel vintage distressed leather belt in green color is perfect for hiding extra fabric and highlighting the waist of any lady. 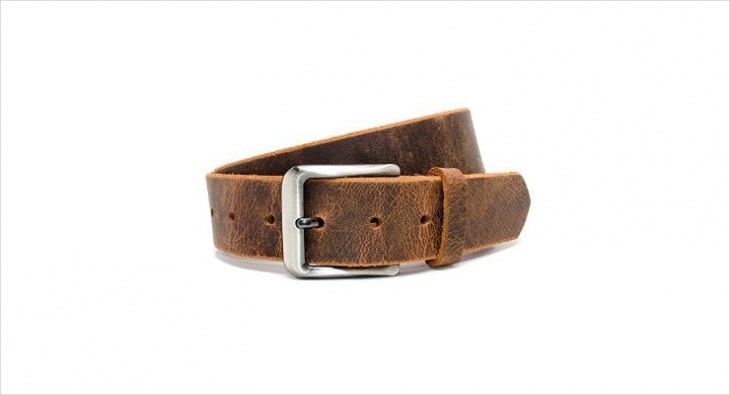 Wearing a distressed leather belt is the best way for a man to accessorize. 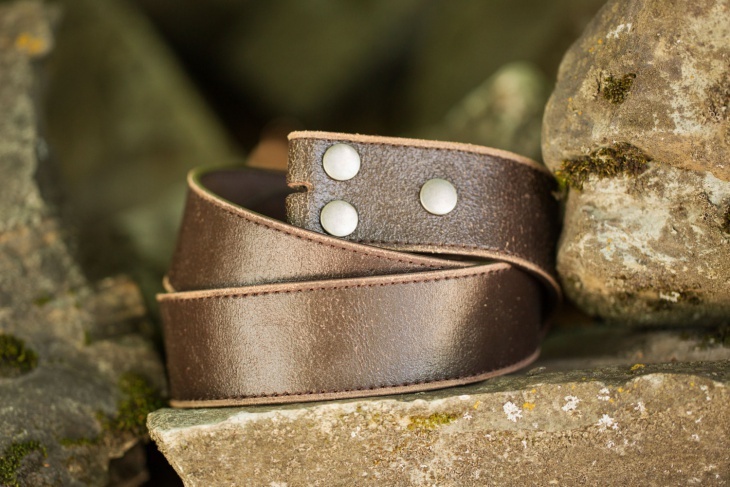 Opting for a brown color will guarantee that this accessory complements your wardrobe while the leather material ensures durability and timelessness. 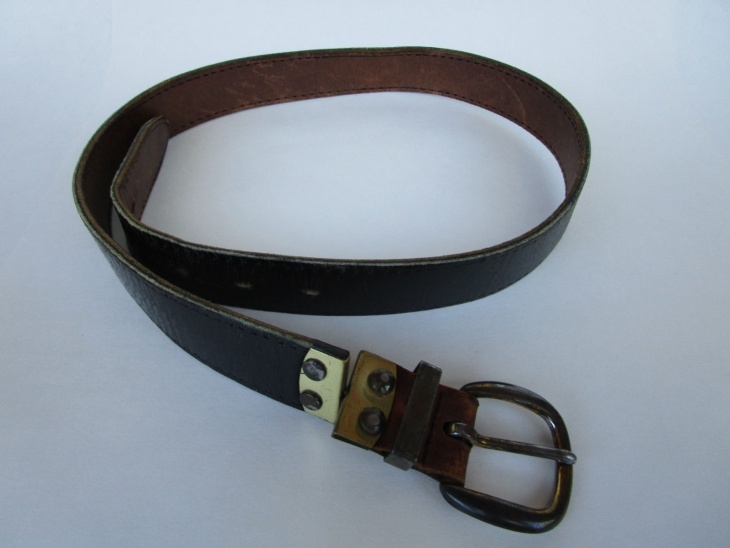 Women with an inverted triangle or rectangular body shape can use a leather belt to create the illusion of curves. 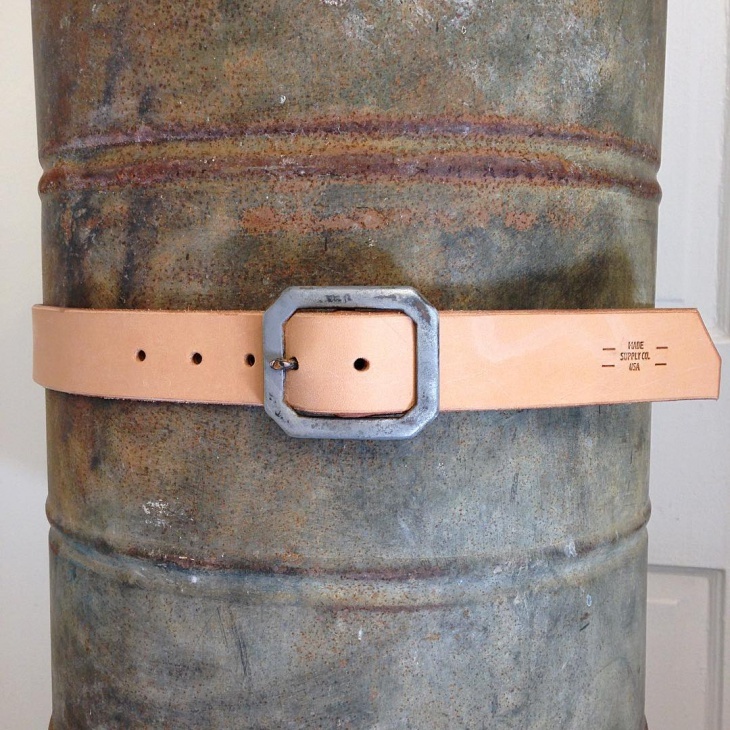 The simple nature of this distressed belt in a neutral color ensures that your outfit takes center stage. 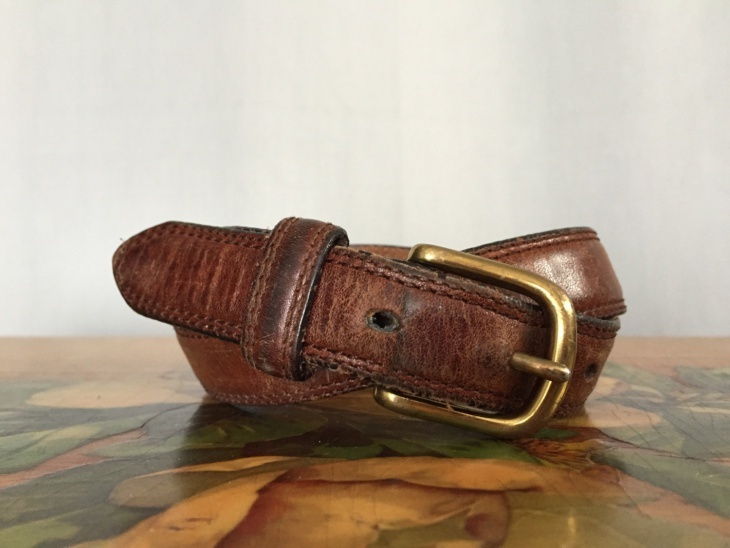 The size and brown color of this rustic leather belt make it ideal for both young and mature men to quickly and appropriately accessorize. 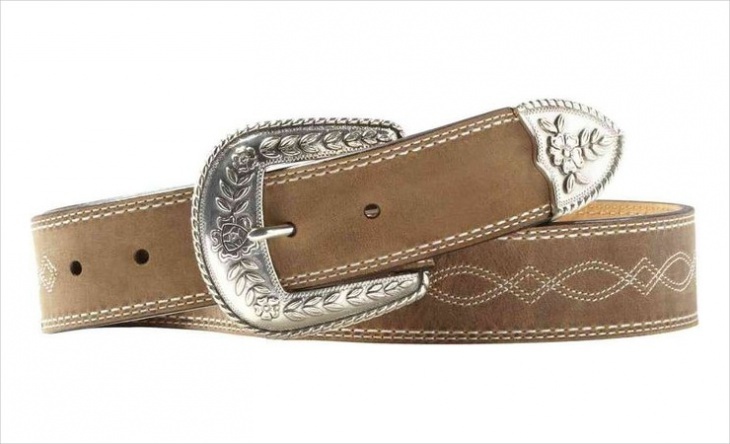 The buckle which is not too large prevents your outfit from looking too flashy. Men and women who spend a significant portion of their time wearing formal clothes such as suits should go for a black colored leather belt. 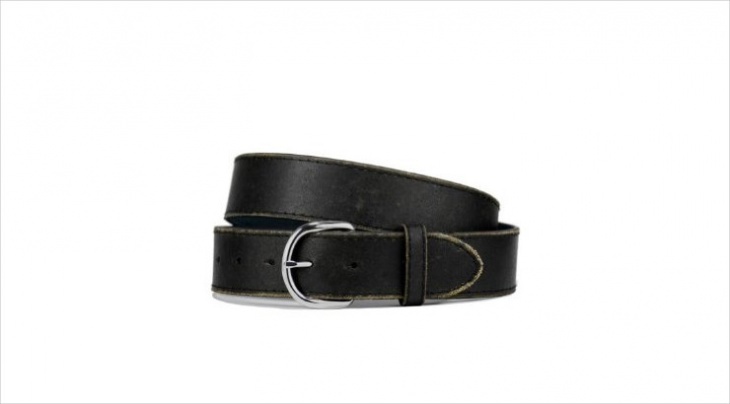 The color of this belt will also complement men’s trousers such as khaki and jeans. 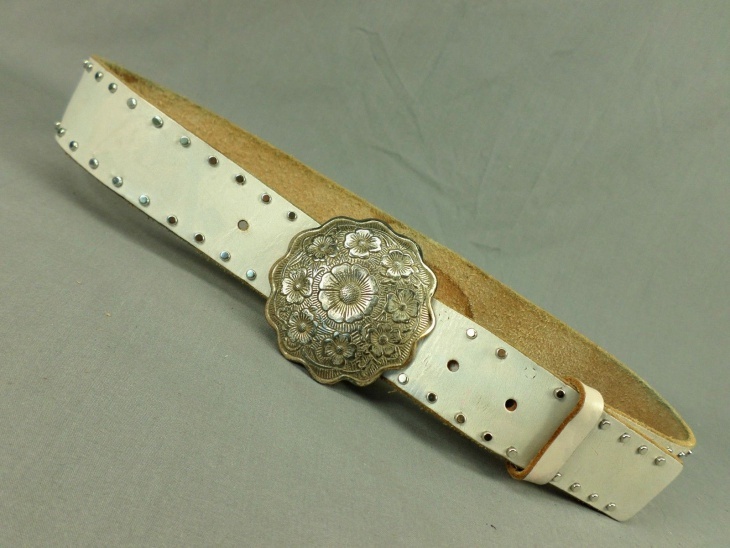 Ladies, bring attention to your curves by wearing a white distressed leather belt. The studded element will make even a simple dress stand out. 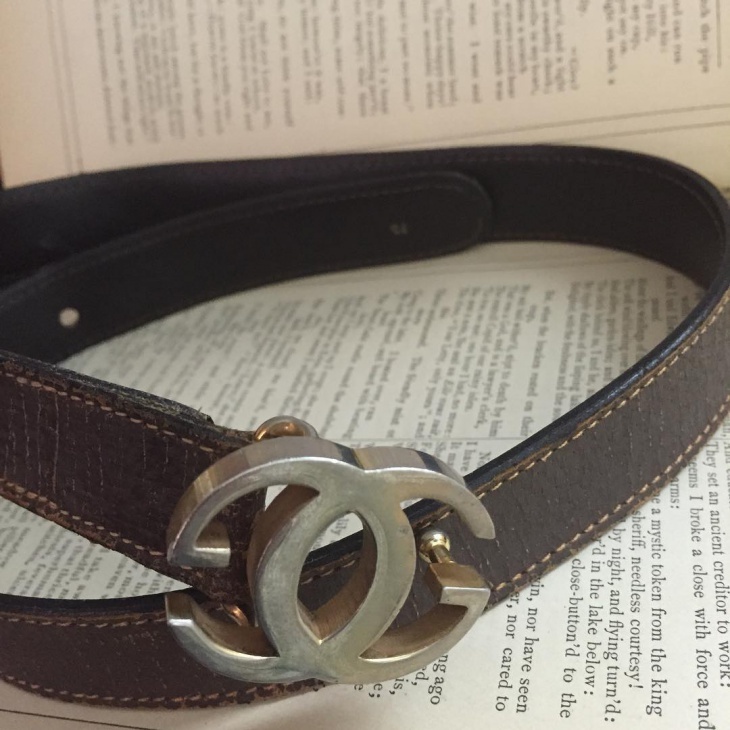 Place this belt low on your hips to make you look chic and fashionable. 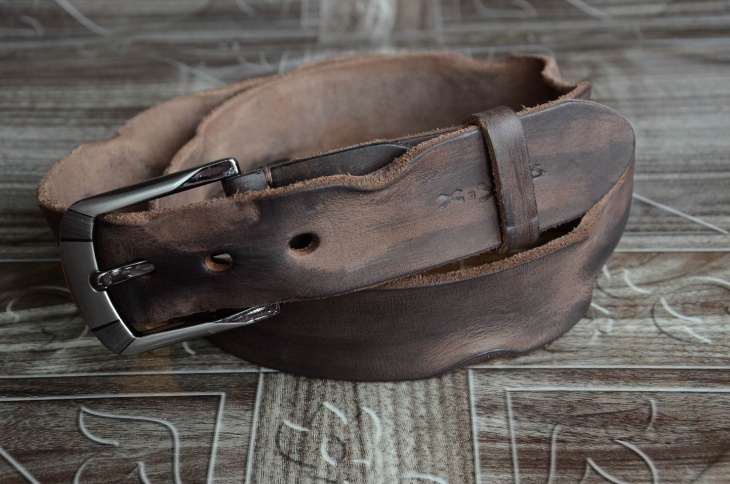 When it comes to choosing the best-distressed leather belt, you need to consider your dressing code. 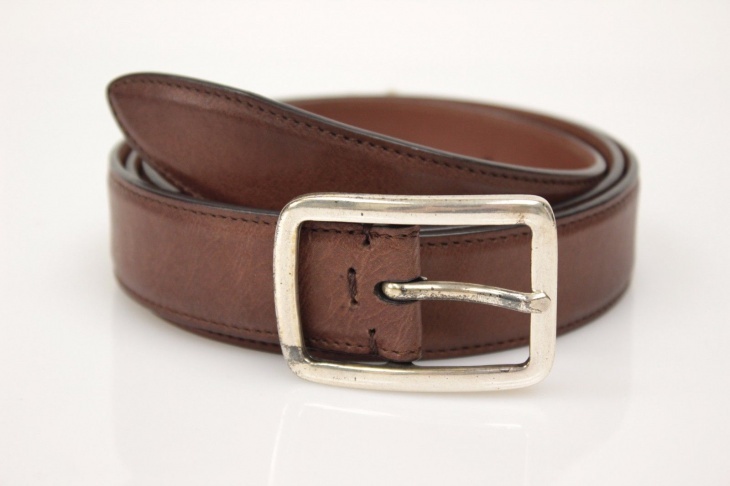 The flat buckle with a silver color finish will complement silver cufflinks while the brown color will harmonize with brown leather shoes. 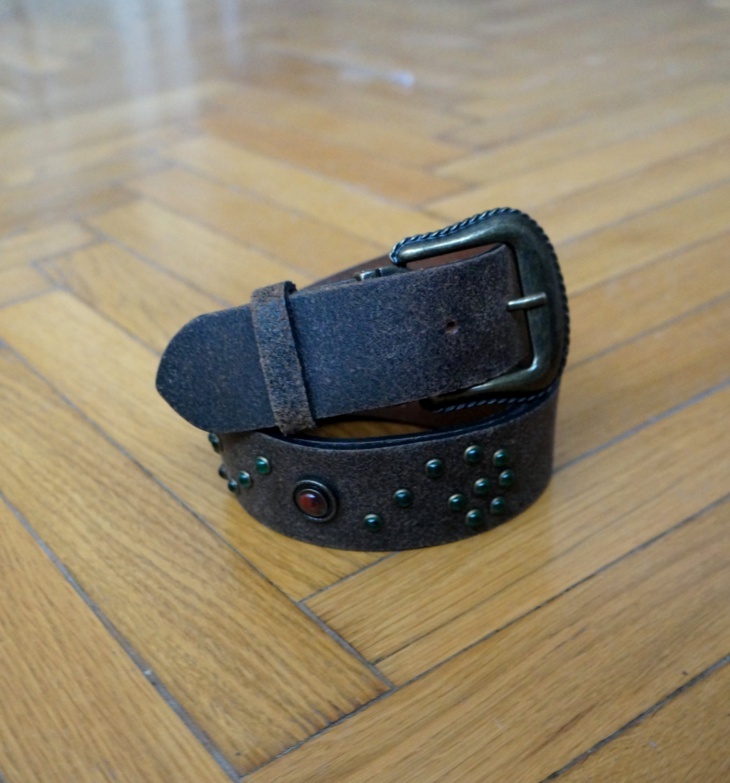 Bring a fashion statement to your plain dress or outfit by pairing it with a studded distressed leather belt. During winter you can remain warm and look stylish by adding a studded belt on a cardigan or sweater. How to belt like a star? Women should wear belts on the waist to help look slimmer and mismatch to portray a fun and chic personality. Men should opt for the classic style of matching leather belt with shoes for formal events or go for a rigger belt design for casual events. 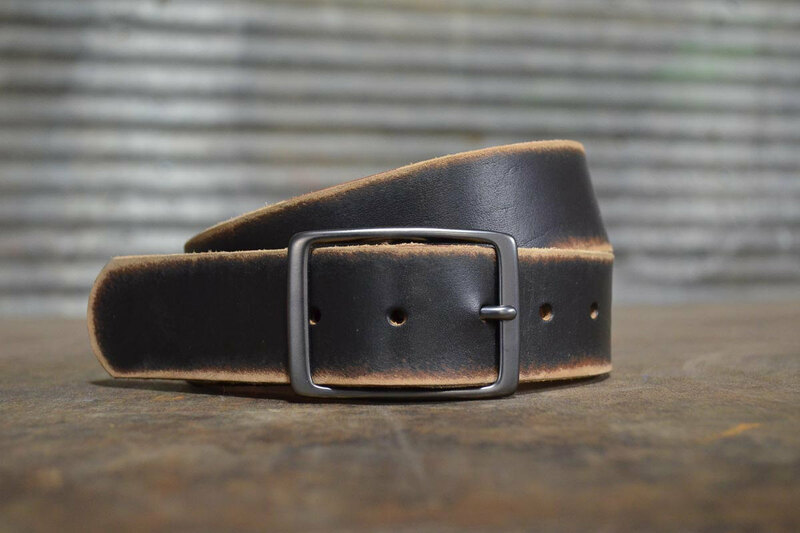 Generally, a belt should make you comfortable and at ease. 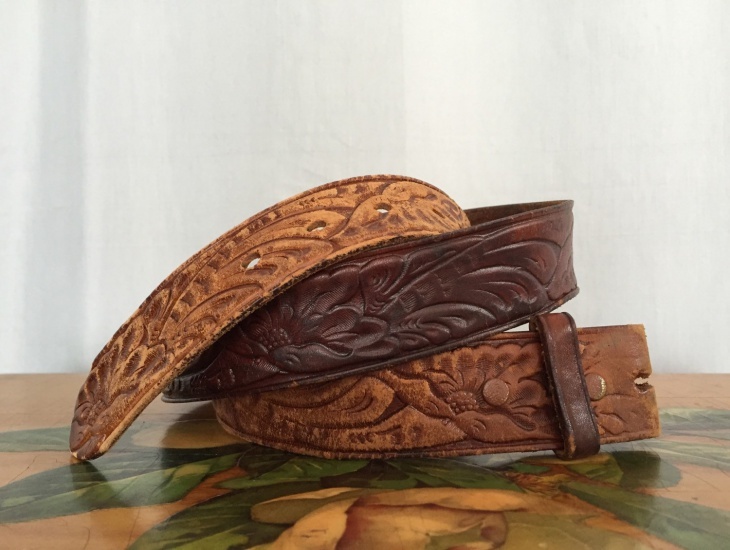 While most men opt for a leather belt, a stylish man will go out of his comfort zone and wear beaded belt designs to express his fashion sense. 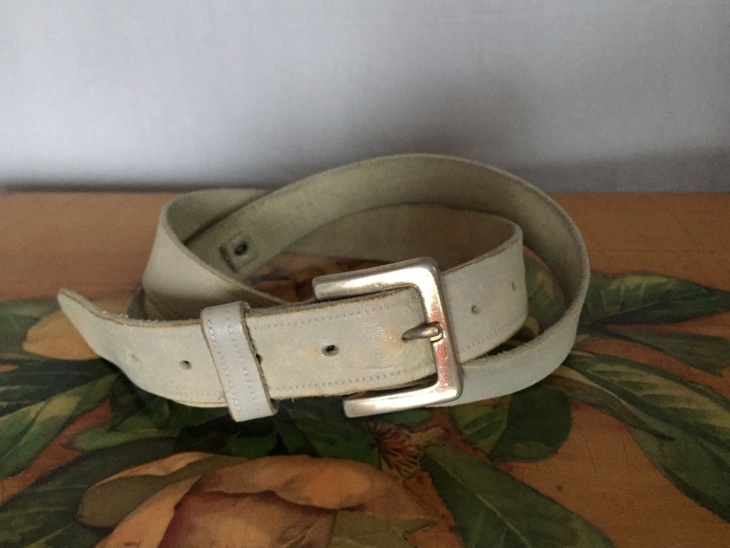 Simple Hermes belt designs in a neutral color such as brown can modify an outfit by flattering your curves or by bringing attention towards your outfit.